The principles of seeing that justice is done are declared in the Constitution of Ukraine. The main principles include: implementation of justice exclusively by courts of law (the courts are unable to transfer their functions as well as other authorities or officials are unable to appropriate them); the court jurisdiction is spread to all legal relations that appear in the state; court decisions are binding throughout the territory of Ukraine. Today, Ukraine is experiencing global judicial reform, the main aim of which is to fight corruption in the judicial system and to establish truly independent judicial power. The new Law of Ukraine On the Judicial System and Status of Judges in a different way determines the system of courts. Thus, justice in Ukraine is performed exclusively by the courts. The courts specialize in considering civil, criminal, economic, administrative cases as well as cases on administrative offenses. The system of courts includes district courts, district economic courts, district administrative courts as well as other courts stipulated by procedural law. The highest court in the court system of Ukraine is the Supreme Court. The consideration of a certain case by this or that court depends on the subject matter and the nature of the dispute and is, first and foremost, regulated by the respective procedural codes (the Civil Procedure Code of Ukraine (2004), the Economic Procedure Code of Ukraine (1991), the Code of Administrative Court Procedure of Ukraine (2005), the Code on Administrative Offences of Ukraine (1984), the Criminal Procedure Code of Ukraine (2012) and by some Laws of Ukraine (On Constitutional Court of Ukraine (1996), On Restoring Debtor Solvency or Declaring a Debtor Bankrupt (1992), the Tax Code of Ukraine (2010) etc.). If a dispute arises between business entities and concerns their business activity, the case should be considered by economic courts. Thus, economic courts shall consider disputes that arise while concluding, amending, terminating and executing economic agreements, cases related to bankruptcy, registration of rights on securities, cases that appear from corporate relations (even if the participant of the dispute is an individual), disputes that appear from land relations, cases on economic competition protection and other cases if their consideration does not refer directly to the competency of other courts or their consideration has not been excluded from the jurisdiction of economic courts by procedural law. Not long ago a new category of cases in economic proceedings, namely, cases on disputes between business entity and its official (including an official whose powers have been terminated) on compensation of damages caused by such official to the business entity and his/her actions or lack of actions, appeared. executive related to execution of decisions of the authorities (officials), except for court decisions. Procedural law stipulates certain restrictions on resolving disputes by administrative courts and their settlement refers to the competence of other courts. Thus, the jurisdiction of administrative courts does not include public cases that refer to the jurisdiction of the Constitutional Court of Ukraine, public cases that are supposed to be settled through the criminal proceedings procedure, public cases on imposing administrative fees, public cases on relations of the citizens group that according to the law, statute (provisions) refer to their activity or exclusive competence. District courts consider all other cases if one of the parties of the dispute is an individual as well as cases, the consideration of which, is not referred by the law to the competence of other courts. The courts of general jurisdiction shall consider cases that appear from civil, housing, land, family, labor relations, cases related to identification of legal facts, cases on recognition and enforcing decisions of international courts, etc. The system of courts of general jurisdiction is the most ramified (these courts are established in regions, cities, districts of cities). Taking this fact into account, some cases of administrative jurisdiction are considered by courts of general jurisdiction as administrative courts of first instance. Such an approach is considered to be sound because the competence of district administrative courts covers regions and, as a rule, they are located in regional centres. The court of constitutional jurisdiction is the Constitutional Court of Ukraine, an independent institution that differs completely from the other court system. First of all, the Constitutional Court of Ukraine is aimed at providing compliance with laws, other regulations of legislative and executive power, protection of constitutional rights and freedoms of the individual. Due to judicial reform that has been implemented the powers of the Constitutional Court of Ukraine do not include interpretation of laws. Although in the past a lot of disputed issues appeared while the application of law used to be considered through the Constitutional Court of Ukraine providing their official interpretation. The new Law of Ukraine On the Judicial System and Status of Judges liquidation of stipulates the higher specialized courts and the new structure of the Supreme Court as a unified court of cassation instance. A new Supreme Court of Ukraine, the selection of judges of which shall be performed through competition, should be formed by 30 March 2017. The competition between the judges to the Supreme Court of Ukraine shall be held by 30 November. Thus, a three-tier court system functions in Ukraine. 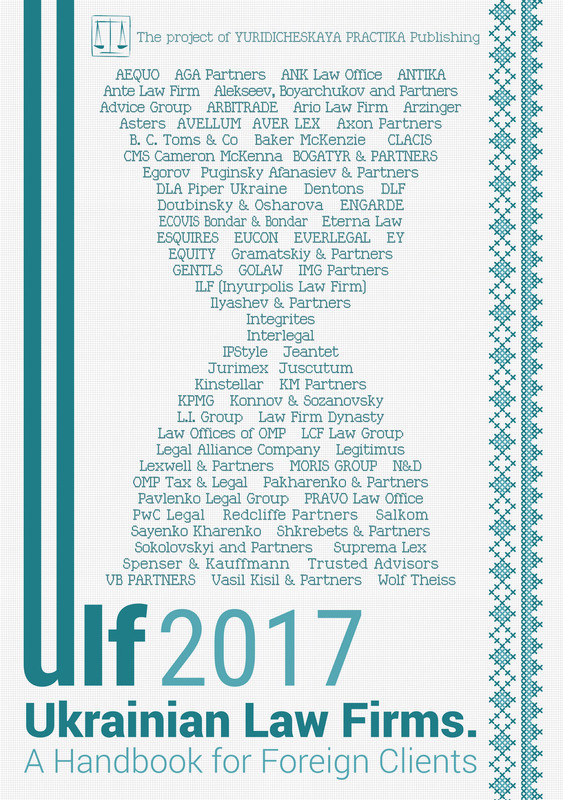 It includes local courts, courts of appeal and the Supreme Court of Ukraine, that shall perform the cassation function. Local courts of first instance are the most widespread. Courts of first instance consider cases on their merits. Due to this fact, they enjoy the right to determine actual facts of a case through evaluation of evidence collected on its inner conviction. The decisions of local courts, as a rule, enter into force after the term for their appeal is terminated or after this case is reconsidered by the court of appeal, if it is not cancelled or changed as a result of such reconsideration. Courts of second instance are courts of appeal. The powers of courts of appeal depend on their specialization and the category of the case. According to the general rule, courts of appeal consider a case in a new way and are empowered to examine evidence as well as to accept new ones if they has not been provided by the party to the court of first instance due to valid reasons. The decision of a court of appeal enters into force from the moment of its announcement. The last and the highest instance in the court system is the Supreme Court of Ukraine. It enjoys the right to consider court decisions through the cassation procedure. The following courts act within the Supreme Court of Ukraine: the Grand Chamber of the Supreme Court of Ukraine, the Administrative Cassation Court, the Commercial Cassation Court, the Criminal Cassation Court, the Civil Cassation Court. 2) in the Commercial Cassation Court to consider cases related to bankruptcy; protection of intellectual property rights as well as rights related to antitrust and competition law; corporate disputes, corporate rights and securities. The Grand Chamber of the Supreme Court of Ukraine is empowered as follows: in cases stipulated by the law it acts with the aim of providing similar legal provisions application by cassation courts; acts as a court of appeal in cases considered by the Supreme Court of Ukraine as a court of first instance; analyzes the legal statistics and studies court practice, performs generalization of court practice. The Law also provides establishment of the Higher Anti-Corruption Court, the Higher Court on Intellectual Property. These courts are courts of the first instance.